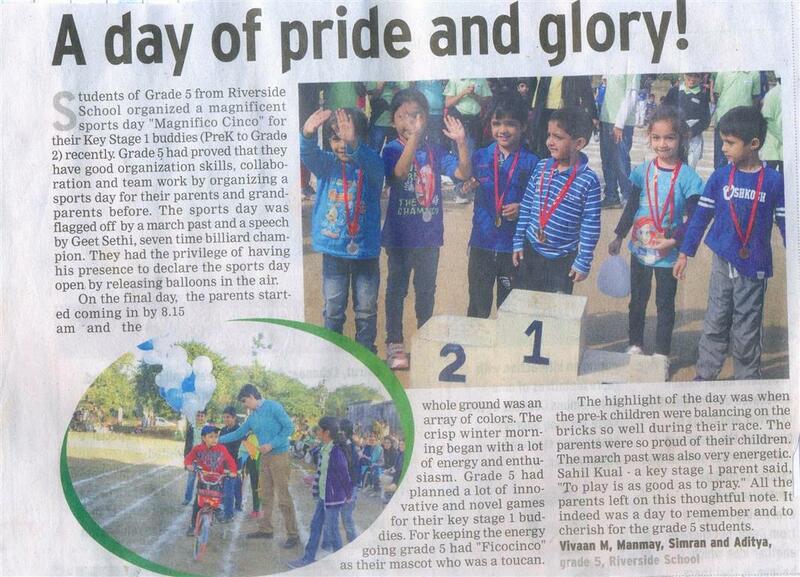 Students of Grade 5 organized a magnificent sports day 'Magnifico Cinco' for their Key Stage 1 buddies. Grade 5 took another step towards creating a change in the city as part of their citizenship programme. 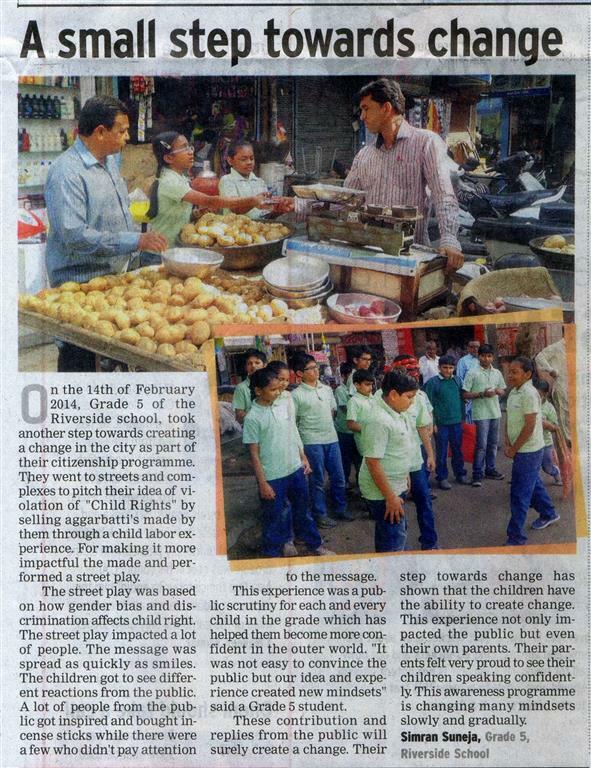 Students created awareness amongst the public about "child rights" by selling aggarbatti's made by them through a child labor experience. 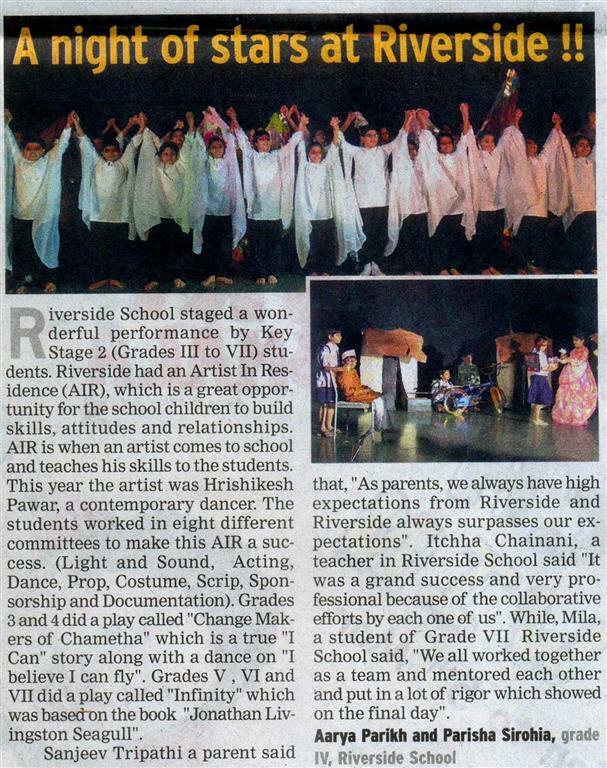 Students gave a thundering performance with dance and drama at Riverside School under Artist in Residence programme. 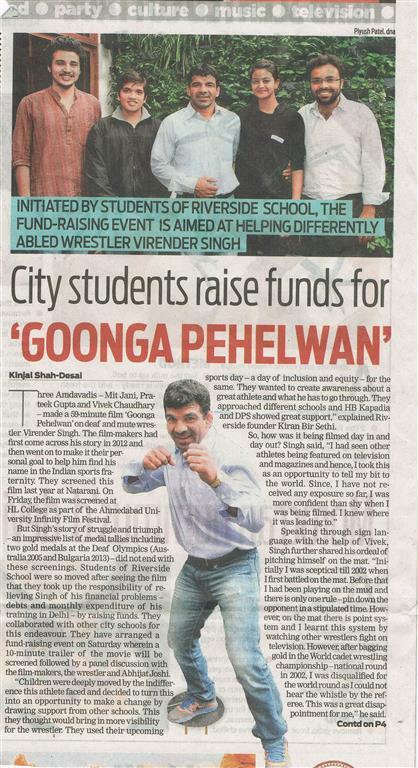 Initiated by students of Riverside school, The Fund-Raising event is aimed at helping differently abled wrestler Virender Singh. 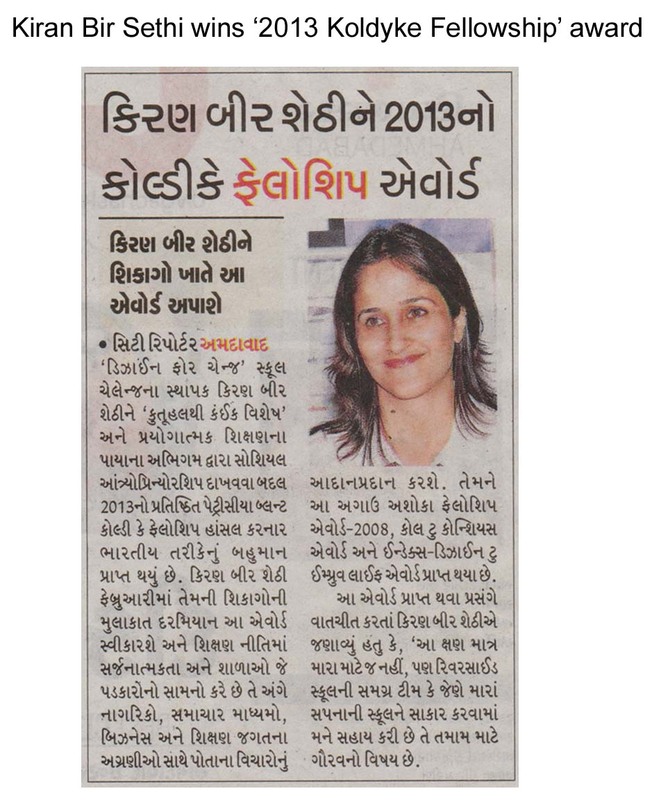 Innovative Educationist Kiran Bir Sethi wins ‘2013 Koldyke Fellowship’ award.